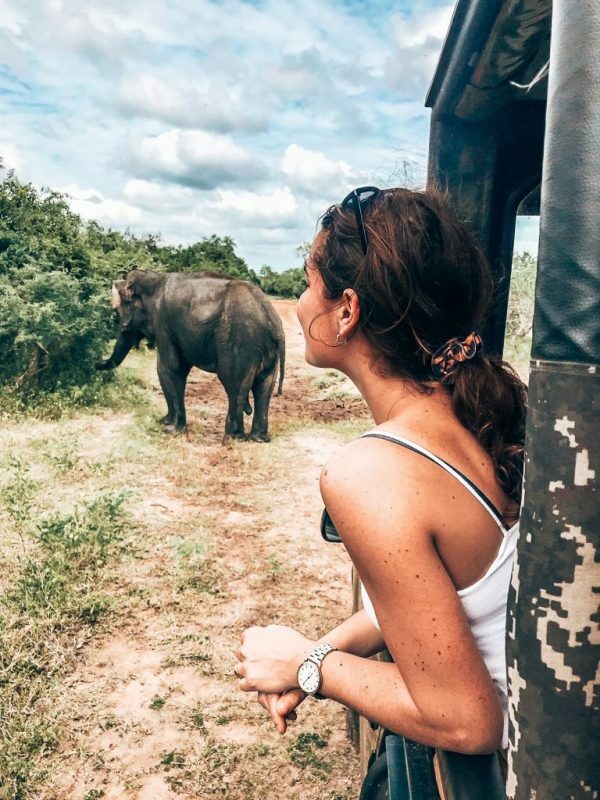 If you are you looking for diversity, Sri Lanka is the place to be: stunning nature, wildlife, culture, pristine beaches, incredible photography spots and let’s not forget the amazing food. 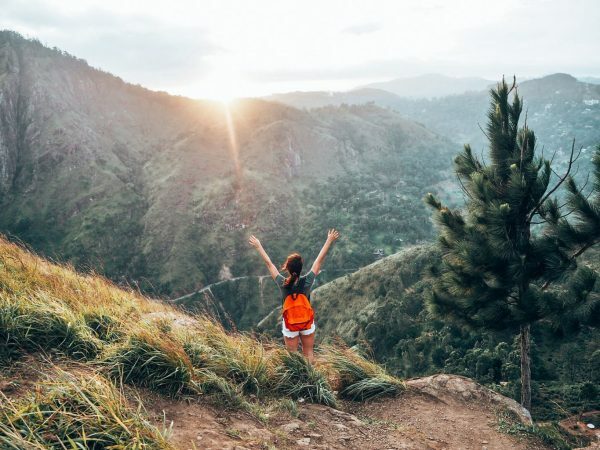 Sri Lanka has been voted the number 1 destination for 2019 and it’s more popular than ever. 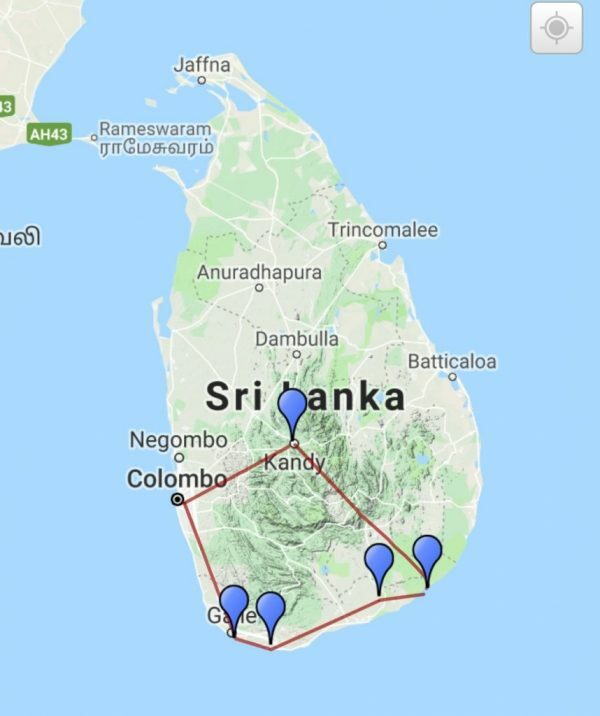 We’ve created a 2.5-week Sri Lanka Guide to show you the hidden gems and unique insider tips. The northeast monsoon is from December to March and the southwest monsoon is from June to October. Compared to other Asian countries the accommodations in Sri Lanka are more expensive. The price for a normal guesthouse is around 20 euro per night. For a more modern stay you pay around 80 euro per night. Transport is super cheap in Sri Lanka! One of the most famous and best option is the three-wheeled moped vehicle that is called Tuk Tuk. You will find tasty and very affordable Sri Lankan dishes. Rice and curry is the Sri Lankan staple. My favorite is for sure the dhal curry. Also try their delicious roti, flatbreads, egg hoppers with fresh fish! Sri Lanka is famous for its tea production, the tea production is one of the main sources. Sri Lanka yearly produces 300,000 tonnes of tea! We decided to skip the capital city Colombo, and spent the first day in Kandy instead. Kandy is more pleasant, less busy and the famous gateway to Ella. To be very honest, Kandy is not the most lively city. 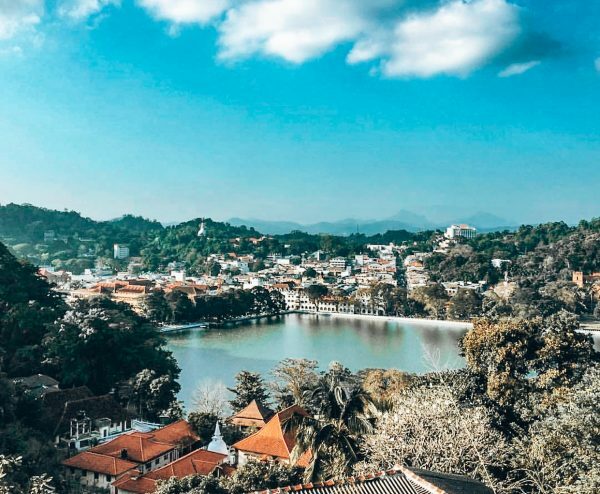 There’s not much to do, except for visiting the famous tooth Temple, a walk along the Kandy river, take a stroll through the Botanical Gardens and visit the commercial and shopping complex in the centre of town. Tip: Check out the Slightly Chill Rooftop Bar which is great for sunset watching with a great view. SWP Eco Lodge with exotic animals such as monkeys jumping around your balcony. Book it here for about €65 per night. We took the most famous train trip from Kandy to Ella. It is supposed to be one of the most scenic and beautiful journeys in the world and we can tell you it is! 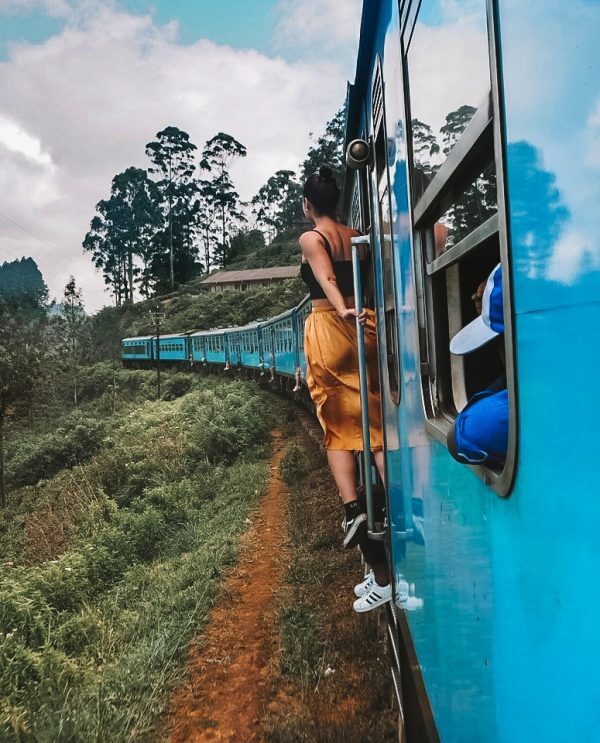 This train ride takes about seven hours long, and is an affordable way to see the country with stunning green landscapes of lush tea plantations and breathtaking mountain views. No reservation is needed. A second-class ticket will only cost you 1,50 euro per person! Tip: This is a very busy route so make sure to arrive early as tickets can sell out quickly. Departure from Kandy is at 08:47AM and arrives in Ella around 3:30PM. If you are lucky you will get a seat, but don’t count on it! After a few stops you might get a seat when people go out. The most fun part is that you will easily connect with the locals. They are keen to start a conversation! One of the best train rides in the world! » Try to sit at the entrance doors to experience the train ride at its best! You can sit on the floor and leave your legs out. » Make sure you buy drinks like bottled water before you enter the train. » Don’t worry about food, at each stop sellers come in with food like fresh fruit and Sri Lankan’s delicacy. 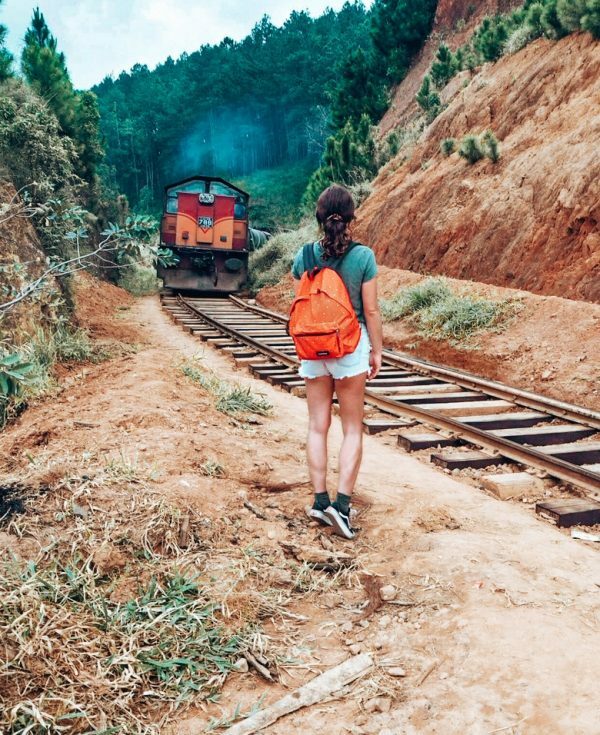 After an incredible and memorable train ride we arrived in Ella. Ella in Sri Lanka is a peaceful small village surrounded by the beautiful greens tea plantations, about 1000 meters above sea level. So the nights are cool and at daytime around 26 degrees. Ella is perfect for hiking! One of the best scenery is around Ella in the Hill Country. 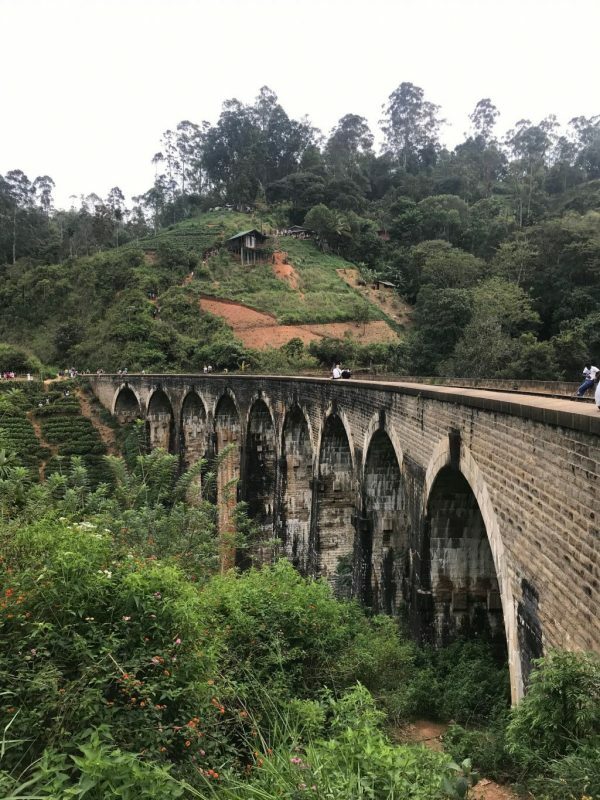 One of the must hikes is the trail walk from Ella train station (Ella town) to the Nine Arch Bridge and Little Adam’s Peak. It takes around 2 hours in total, but you will probably end up staying longer due to all the beauty. 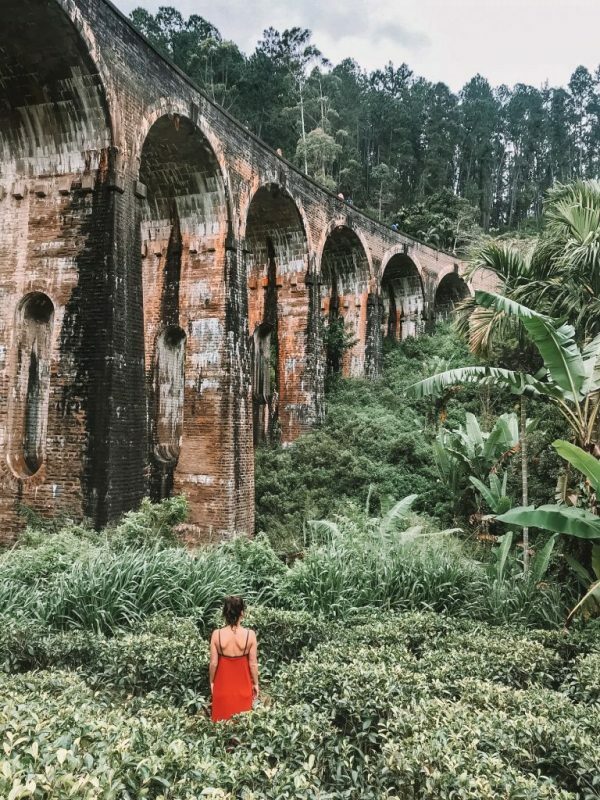 Before you will reach this beautiful architectural bridge surrounded by an amazing green jungle you pass by small villages and green tea fields. The bridge was built during WWI and they used bricks, cement and stones only. On one side you can walk all the way down where you not can make the best pictures of the bridge and look up so you can see the sky through the nine arches. TIP: Get a drink at one of the cafes and wait for the trains to pass. Little Adam’s Peak is the brother of Adam’s Peak and got its name due to the similar shape. You don’t need a guide and the hike is free of charge. We couldn’t find any sign at the Nine arch bridge, but there’s a shortcut off the road near a small cafe and the friendly locals there will point it out for you. 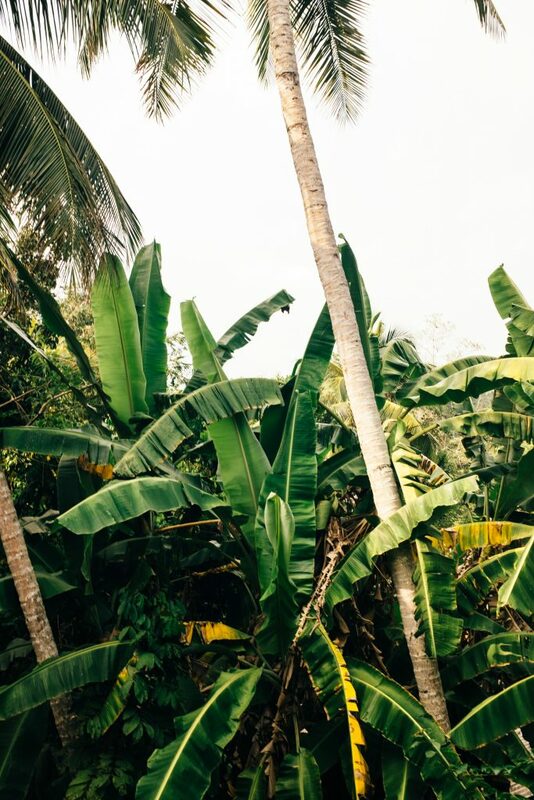 After a 25-minute walk which takes you through the jungle and a small city you reach 98 Acres hotel. This hotel is super close to Little Adam’s Peak and has some breathtaking views! Just order some drinks and enjoy this view and continue your hike. (the food isn’t that great here) It’s 1141 m high, easy to climb, with a fairly good path all the way up. The view on top of this mountain is fantastic! Especially with sunset. Judge it for yourself. Run by a lovey family who are very helpful with directions and suggestions of places to visit. Ella Treehouse & Cabanas is located 2km down the city center of Ella. The rooms are super clean, our room a balcony with the perfect mountain view, where monkeys playing in the surrounding trees. 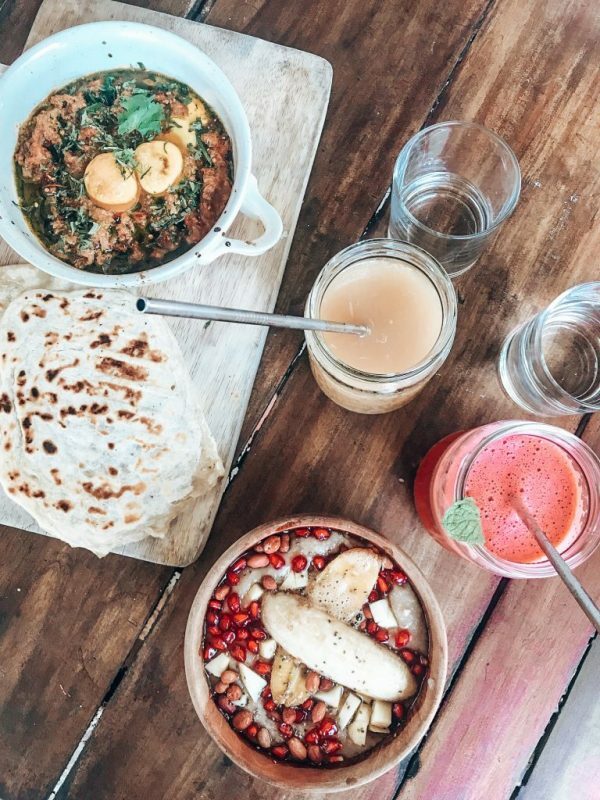 In this very little cafe on the Main Street of Ella they serve the best curries, biryanis and other local threats. Usually there is a little wait for a table but it is well worth it. Must order: Chicken curry with naan bread. Tissamaharama is the perfect base for nearby Yala and Bundala National Parks. Yala is the most visited and second largest park in Sri Lanka. We decided to stay around here for 2 nights. We ended up booking a full day tour with Yala Wild Safaris for 60 dollars per person. For all the details, and why Yala might not be the best pick for a national park, check our full article about Safari in Sri Lanka. Mirrissa is the right chill out for a few days. Mirissa Beach is crowded, but the southern end of Mirissa is more quiet. 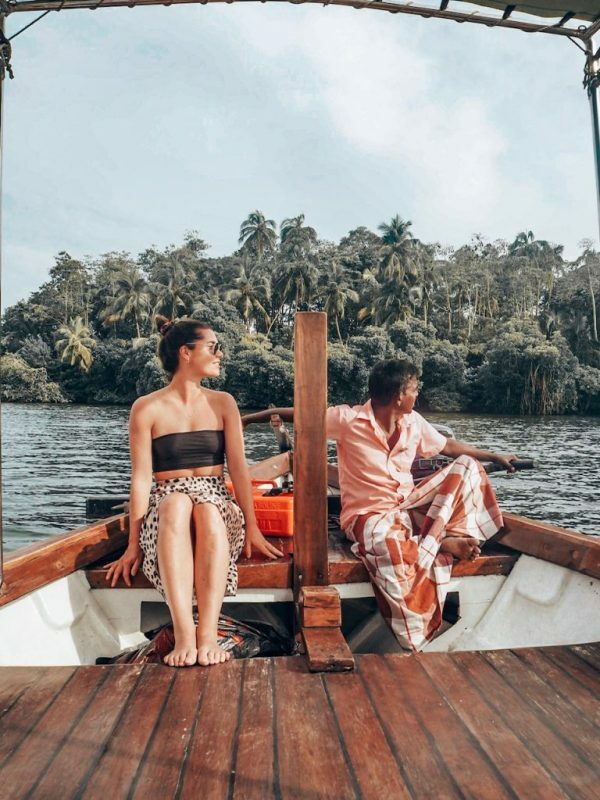 Here you find beautiful beaches, surf waves, turtle spot, nice guest houses, good food, cocktail bars and one of the best Instagram spots of Sri Lanka. From Mirissa you can easily visit places like Unuwatuno, Galle and Tangalle for just 1 day. A bit more southern you will find one of the most popular Instagram spots foto hierboven of Sri Lanka, Coconut Tree Hill. A lot of palm trees are lined up with a view of white sand and turquoise water. Most people visit this place for one thing only; line up, take the picture and head back to Mirissa beach. TIP: please don’t! From Mirissa beach it takes around a 25-minute walk to this spot. Along the way you pass by Turtle Bay. You will find this spot at the southern end of Mirissa and is the best spot to swim with sea turtles. You can rent snorkeling gear at the restaurant for only a few euros and jump into the water where you spot turtles immediately! Nearby you will also find restaurant Papa mango here: The best lobster we’ve ever had for only 13 euro incl. french fries and salad. You want to eat here all day long! » Sea Goggle Resort You can book this stay at Airbnb for €33 per night. » Mother’s House for just €21,- per night. You can book via Booking.com. Across Mother’s House you can practice Vinyasa flow at 9AM for 75 minutes. What a great class! Felicia, the teacher, gave everyone a massage during relaxation. She told me that she will open a hostel in Mirissa soon, Satori Beach Hostel, where you can also practice yoga, keep an eye out! We took a tuk tuk to Weligama and booked our stay via booking.com a few hours before and we arrived at night at Aknara Rest Hotel. Kind owner Sunny welcomed us and arranged some beers. When we opened the doors of our guesthouse in the morning we stepped outside to a beautiful large green lush garden with monkeys everywhere! A beautiful quiet place only 7 min away (walking) from the beach. 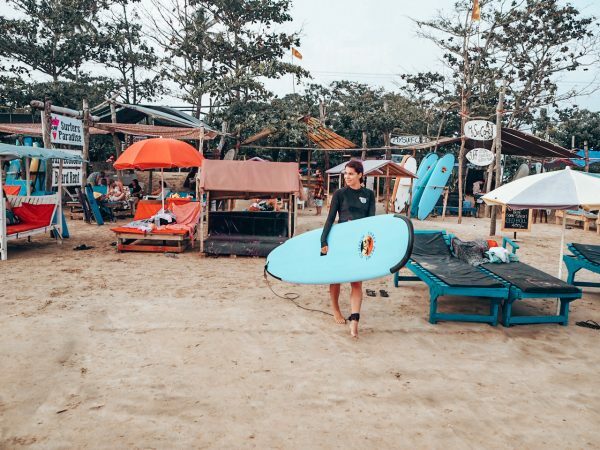 Weligama has a 2km-long beach break lined in palm trees and surfboard stands. You can rent a surfboard everywhere and in return you get a free sun bed. Hop in for a surf, the best spot for beginners is located at the beginning of Weligama beach. There are many places to stay but we recommend these two. Both relatively quiet and close to the beach. Weligama is a bustling little town with lots of local eateries. On a personal I’m not a big fan of kottu – roti mixed with vegetables, egg and/or meat, and spices – but I’m a big fan of their curry and samosa’s! » For drinks you should visit Hungry birds: For the most fun evenings with the owners! They love electronic music and drinks. » Take a break and look for the big blue vegan ice-cream truck right on Weligama beach where you can buy delicious ice-creams. They encourage all customers to place any unwanted coconut shells in their “reduce, reuse, recycle” box, so we can contribute to keep our environment clean! 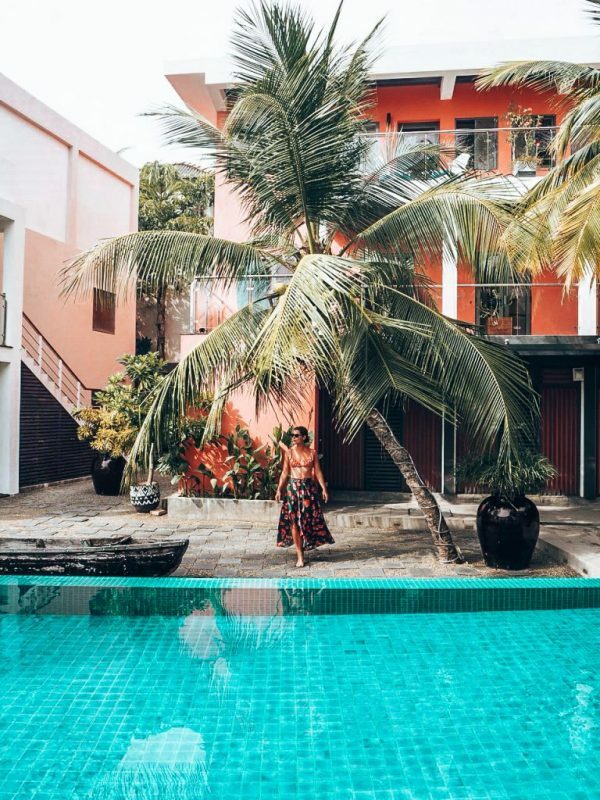 We stayed at the amazing Hotel Tri Lanka – heaven on earth! Tri Hotel is situated right next to and overlooking the stunning Koggala lake. This area is well known for its diverse and rich wildlife, especially the variety of birds living here. Because the hotel surroundings are so stunning, we stayed here for 2 days before heading on to our final destination in Sri Lanka. Read more about Tri Lanka Design Hotel. The town itself is small, most people like to spend their time at the beach, but a big part of the beach is occupied. Tip! Visit the city, that offers great shopping spots, nice guesthouses and many local and trendy restaurants. 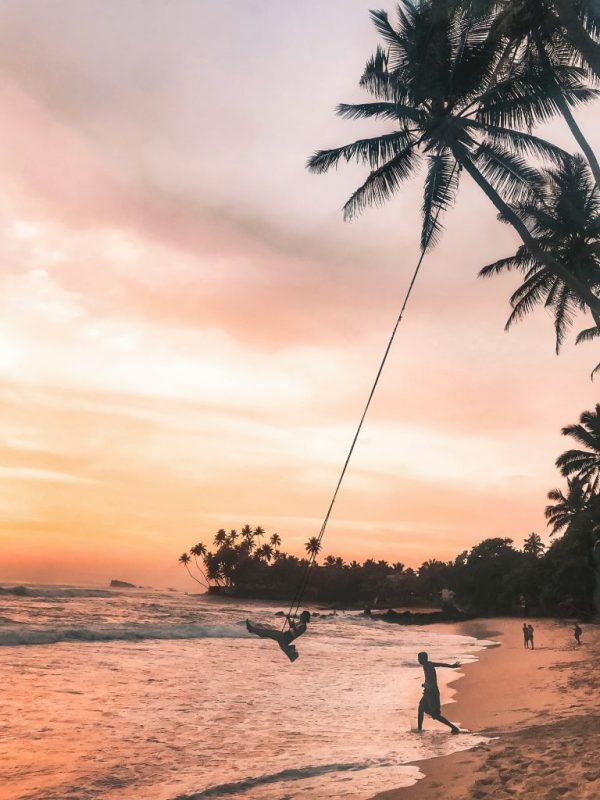 Check out the Palm Swing on Delawella Beach is another great Instagram spot! The palm swing is owned by the locals and they charge 500 rupees for a swing. You will have fun swinging over the ocean waves. We spent our last days at this jewel “Hotel Owl & the Pussycat“, opened in 2015 and located in Thalpe, near Anawatuna and Galle and just a two hour drive south of Colombo. It’s the ideal place for who wants to relax and be looked after by the amazing team of OTP. The hotel has various colourful buildings with spacious rooms. Don’t be surprised if you spot some cute furry toys in the hotel. OTP sells them and donates the proceeds to a local children’s charity. LIKE! Our final stop before heading back to Amsterdam and we only had some time to eat. Both Tri Lanka and OTP recommended us to end our trip at restaurant Ministry of Crab. And we are happy they did. 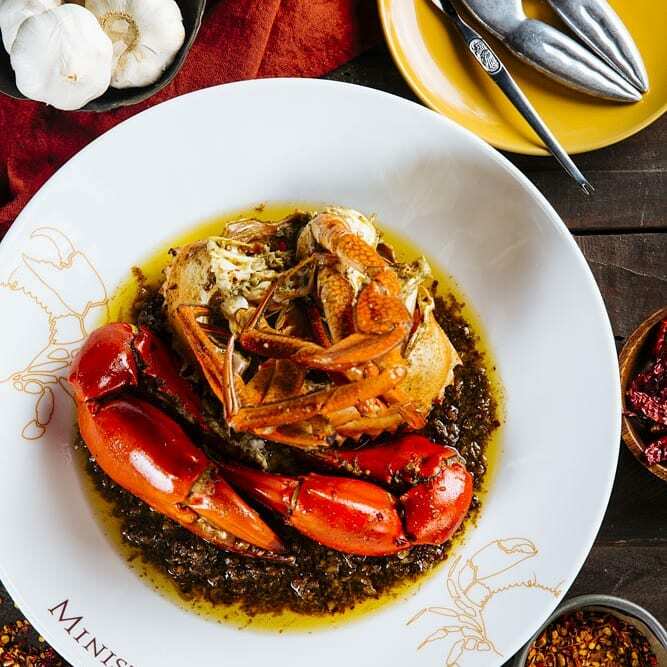 Through Ministry of Crab they bring the iconic Sri Lankan Crab and the exceptional King Prawns to a global audience, ranging from 500g ‘Small’ crabs to 2KG ‘Crabzillas’ plated! Reservation is needed! Find menu and prices here. 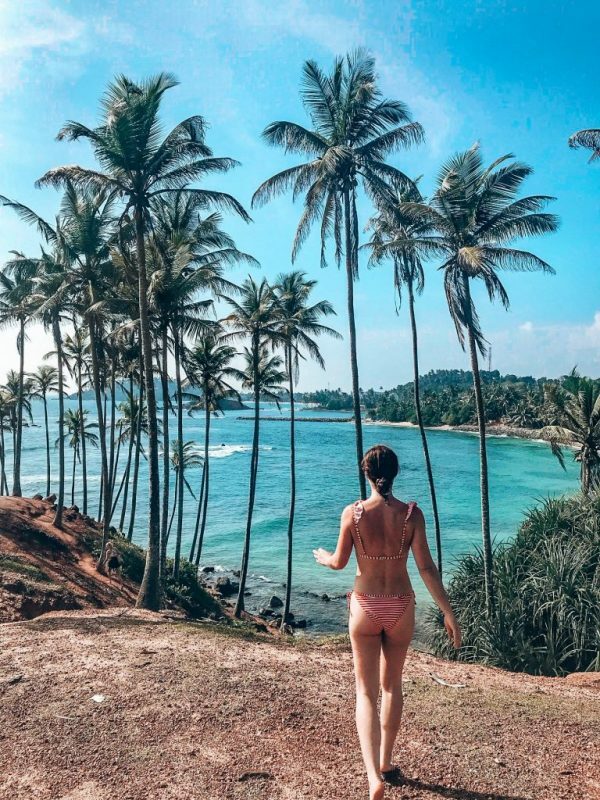 And there you have it, a full 2,5 week travel itinerary for Sri Lanka with its spectacular palm tree heaven coastline and sun-kissed sandy stretches. With amazing waves, charming boutique hotels and trendy cafés with healthy options. Total cost: 1000 Euro per person (excluding the flight). Mind you, we had a collaboration with Tri Lanka and the Owl & Pussycat Hotel. We didn’t hold back however. We ate what we wanted to eat, booked what we felt was comfortable. 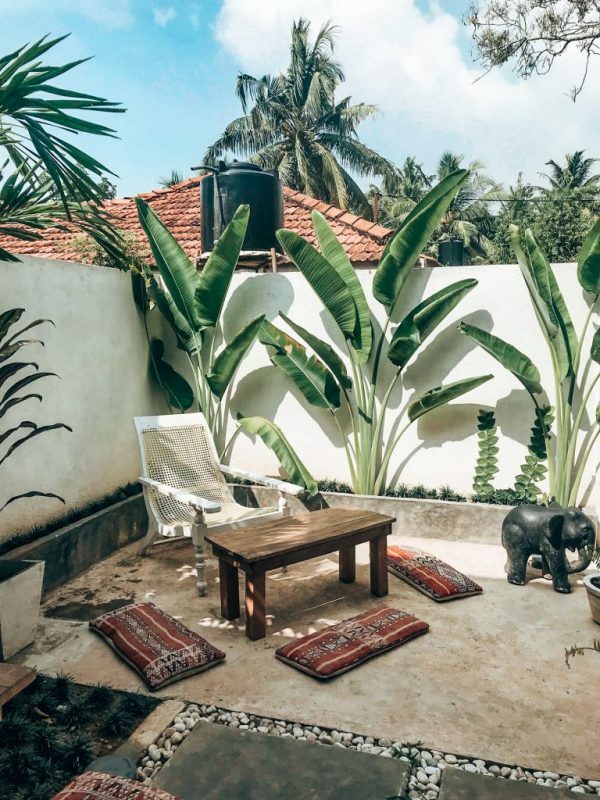 You can make it as expensive as you want, but remember that accommodations in Sri Lanka are a bit more expensive than Thailand for example. Enjoy your trip through Sri Lanka and be sure to tell us about it if you followed our itinerary! Do you think you could price this entire trip? Would be so handy. I had a question about the savety in Sri Lanka. Like when you walk in the jungle, is it save there? And do there live animals who are dangerous?